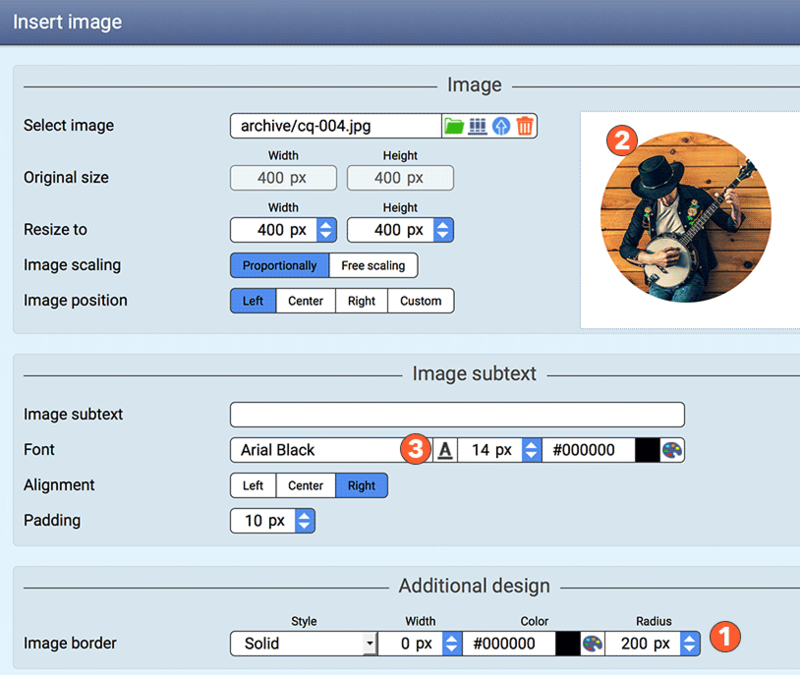 If you choose to present your images in a different way, our new features will amaze you. 1) Select a rounding between 0 and 500 px. 2) The preview display the effect immediately. If you desire perfectly round images, the rounding has to be at least half the size of the height or width of the image. You may also adjust the rounding to 500 px ; that way all images smaller than 1000x1000px will be formed into a circle; the size of the image does not matter. Naturally you may also use this feature to generate only slightly rounded edges; 5 to 10 px will form an elegant rounded edge. Try it!